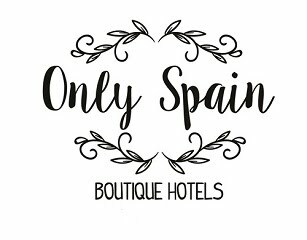 So when I mention Seville, all my boys say they want to go again (my 3 sons all went there on school trips)and hubby says he's never been, except to the airport. That makes it a definite sometime plan. I so want to stay in Seville, rather than spend an alcohol-free few hours, there. There's magic and mystery or as the Spanish say duende, in Seville. Something that hooks the visitor and draws them into its spell, its wonder, beauty and majesty. It enthralled me. There's so much to explore and experience that I'd like to stay several days. So when GoWithOh contacted me about their new competition I didn't have to think at all about where I wanted to go - Seville has been calling me to return. But this time I want to return with my family and experience some of the 3,000 tapas bars, explore the Alcazar, climb the Giralda, roam around the Plaza de Espana, take a cruise along the Guadalquivir at night, soak up the atmosphere, inhale the orange blossom (it'd have to be in spring for that) and learn more about the fascinating history that is so ingrained in the streets and people of Seville. Dreaming of my visit I choose this Duplex with views of the Giralda as the one I'd like to stay in if chosen as GoWithOh's Guest Tester. It's a typical Andalucian building, large enough to accommodate us 5 (or 6 plus girlfriend) with two floors (so hubby and I can escape the younger night-owls if necessary) and a terrace. 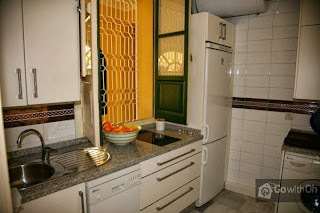 It's centrally located with views of the Giralda tower but most importantly for me when travelling with my (large) sons it has a decent size kitchen and a big fridge (sadly not pre-filled) and of course important for all of us (except hubby) free WiFi. 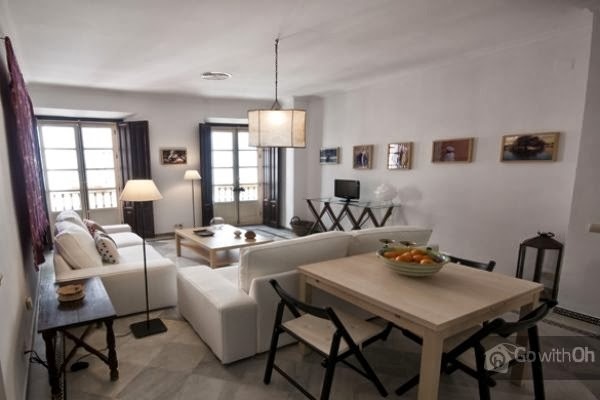 See if you can find a better apartment in Seville than this GoWithOh pad.